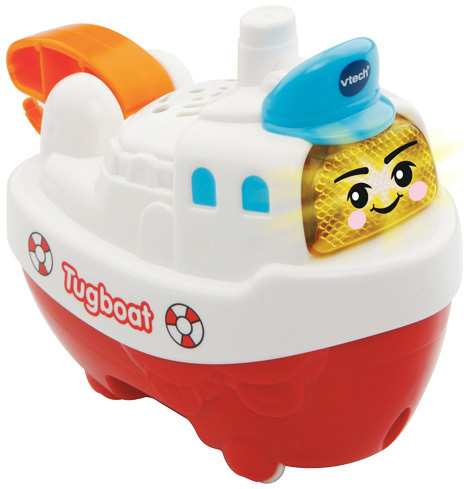 VTech is the undisputed leader in the "Infant and Toddler" category, and their award winning Toot-Toot range is one of the key reasons for that. 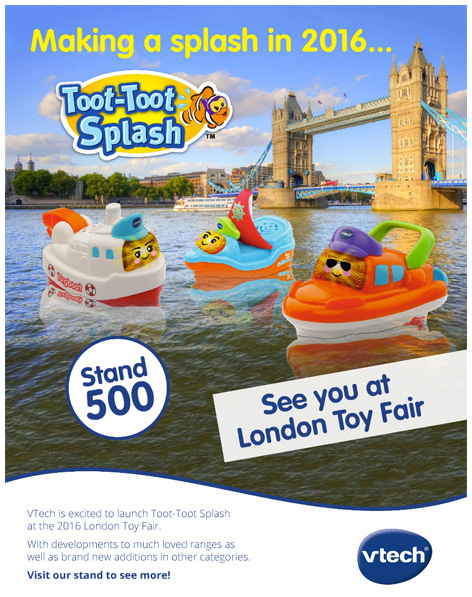 Unveiled at the very start of 2016, Toot-Toot Splash is an extension of the well established Toot-Toot brand and sees VTech bring a whole new meaning to "bath time" with this interactive selection of fun boats and marine animals. All of the toys interact with the Splash Bath Island, a giant floating base that also features a rotating water wheel and fun boat launcher. Kids can choose from Splash World Speedboat, Sailboat and Tugboat, or pick all three for mega play time in the bath. Utilising Vtech’s closed-cell technology for replaceable batteries in bath toys, this product range is so much fun the kids won’t want to go to bed!